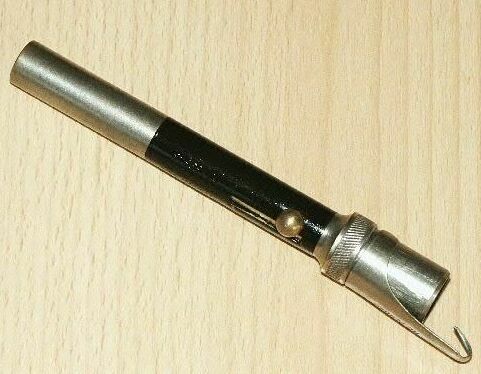 Pen Gun (Unknown) Contact the contributor if you have more information. 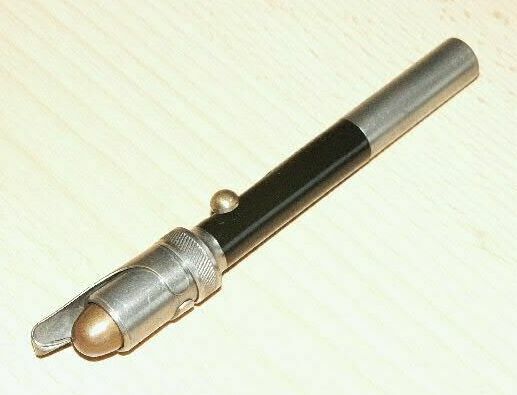 I find your home page very interesting and informative, and want to know	more about your "PEN GUN". Because I have found recently something like that and I don't know really whether it is a one. I didn't find any Information aboutit. I send you its PICs as attachment. 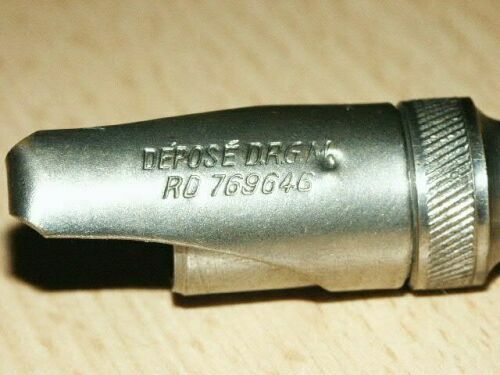 It's all 12,5 Cm long with letter "Existence DEPOSE D.R.G.M. RO 769646" as D.R.G.M. stand for "Deutsches Reich Gebrauchsmusterschutz" (something like Patent no. in Germany before WWII)and RO for Romainian. It means, it was manufactured in 1920's or 1930's. 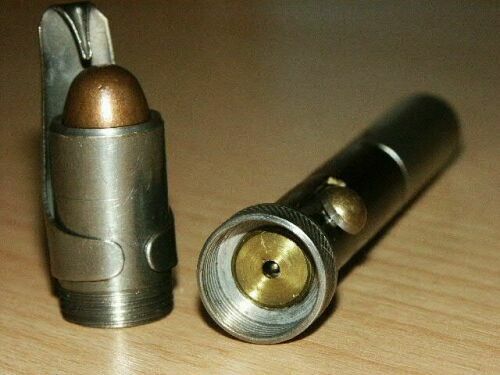 The Chamber adapt .45 bullet exactly. But I think that it is not the real one, because they have used Bottle Chamber at that time. I hope you can help me more to find more about its history.